What happens if my labor lasts longer than expected? 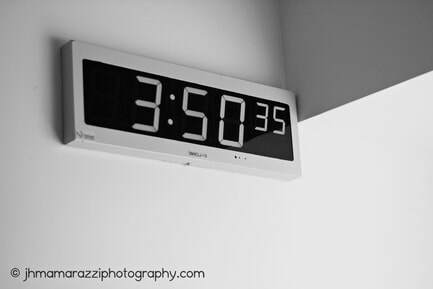 Do you charge for the extra time? Is there enough of a "labor" to document a planned Cesarean birth? 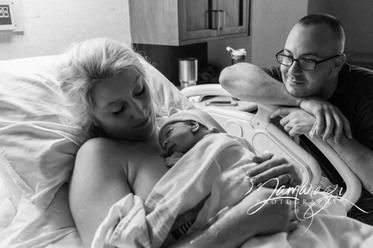 Is a birth photographer really necessary? Can't I just have my friend/family member take pictures? Ok, I like the idea of preserving this day in pictures, but I'm not sure I'll be comfortable sharing everything. Will you post my birth photos online? What if the baby comes in the middle of the night, or on a holiday? Will you still be available? What if I have an emergency and need to reschedule? 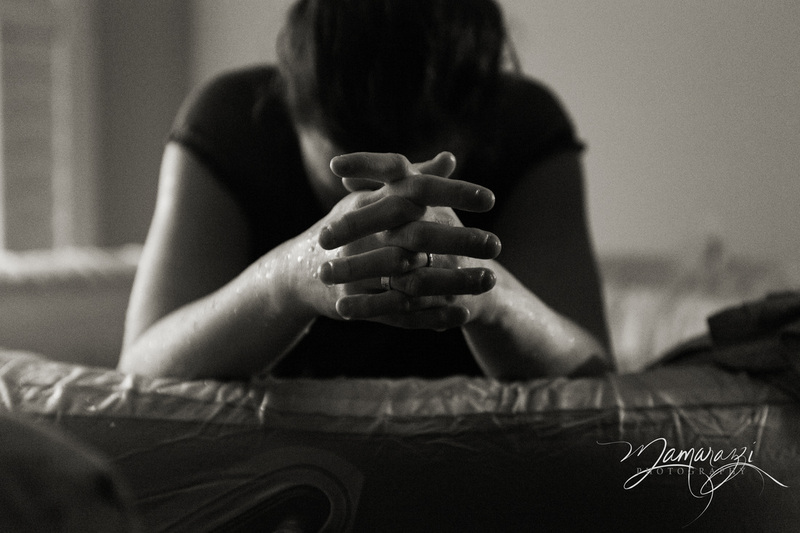 Why did you start photographing birth? How many birth sessions do you do a month? Could you get called away to another birth when you are supposed to be covering mine? What is a Model or Print release? Can I scan my prints to enlarge for other family members, or to use in social media? Labor is one of those things that you just can't really control or predict. Even with a planned Cesarean dates change, labor can start before the scheduled day, and emergencies can bump the time as they have priority. With any birth it could be many hours, or just a few from start to finish. You shouldn't be worried about how long your labor may last; I'm not! The only charges on top of the birth package you select would be for additional products or services, or upgrades to the products and services that are included. Without a doubt! Every birth is special, and that is true of planned Cesareans as well. Regardless of how your baby enters the world, there is no reason not to preserve the moment your eyes meet for the first time. There will still be a first cry, that first look of wonder in your partner's eyes, that emotion that wells up inside you all of a sudden, as that warm little body snuggles into the safety of your arms for the first time, and you realize that now you are somebody's whole world. And don't forget, there will still be lots of friends and family grinning from ear to ear! All of those things are definitely worthy of preservation. 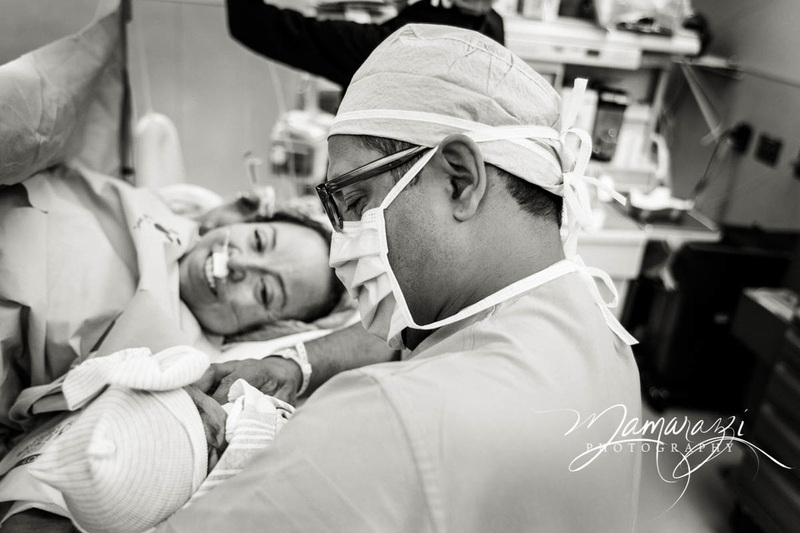 There are also a number of hospitals that do allow photography in the OR, so it's possible to still get those very first moments even with a planned Cesarean. Shouldn't the people you asked to be with you on this special day be part of it instead of trapped behind a camera? Allowing me to take the responsibility of capturing this amazing event will let family members and friends fully participate and focus on what really matters. Instead of worrying about the shots they missed, or fiddling with a camera, they will be able to enjoy the entire experience. Your preferences determine what I do with your photos. This includes how you want me to photograph the actual delivery. Your birth photography contract includes a model release form, giving you the chance to let us know what we can and can't share with regard to your birth photos. While we do ask that you consider allowing us to post some images, photos you want to keep private will NEVER be posted anywhere or shared with anyone without your express consent. Your modesty and privacy will be preserved at all times. This topic will be part of our discussion when we sit down in person before the big day. Absolutely! Putting you on my calendar means that I am committed. As your due date draws near I check in regularly. I keep a bag packed with the equipment I need, ready to go. Barring an act of God, I will be there as soon as I get that call from you. That said, circumstances beyond my control may arise. Emergency situations, extreme weather, an unexpected change of location, heavy traffic/unexpected road delays, or very rapid labor are some examples of things that can cause me to arrive too late for all the action. Since this would be such a rare occurrence, it will be handled on a case-by-case basis, should the need arise. Before your photo session you will receive a contract. No session will begin without a completed, signed contract. This is for your protection as well as mine. Thank you for understanding. Things come up... as a mother of four and a birth photographer, I understand that. If you must reschedule, please give as much notice as possible (preferably 24-48 hrs). We reserve the right to assess a fee in the event of cancellation or failure to keep your appointment without appropriate notice. Probably one of the most life-changing events you will ever experience is the birth of your child. The way your baby comes into the world should be remembered. The loved ones that are there to greet him or her, the hard work you go through from that first contraction to that last push, the sheer joy on everyone's faces when that first cry rings out... these memories need to be captured. As a mother of four children, I understand how easy it is to overlook the documentation of labor and delivery. I also know that due to adrenaline levels, how the body handles labor, and a myriad of other things, there is a lot I don't remember, but wish I did. For that reason, I am thankful that I have birth photos from three of my 4 babies' births. The pictures of my childrens' births caught emotions, bonds, and relationships in such a precious, intimate way. I cherish them, and want to give that precious gift to other parents that value the beauty of life's very first moments. Selfishly, I also just love babies! I enjoy newborn sessions immensely, so it just seemed natural to branch into birth photography, as well. I'm not sure there is a more joyous occasion! I currently book two to three birth stories per calendar month. I do not schedule events that I cannot get away from when I'm on call for a birth if at all possible. In the unlikely event that I cannot make it to a birth for whatever reason, I do have a backup that can attend in my stead. Because there are such limited spots each month for birth photography, it's very important to book as soon as you know you want Mamarazzi Photography to be a part of your experience. When I ask you to sign a Model release, it simply means that I retain the rights to use images, with your permission, for advertisement and my portfolio. I always have clients sign a release form prior to using their photos. This is especially important for images that include minors. When I do choose to post images, or use them in marketing materials, I will always ask before using a child's name, and I never publish last names or personal information unless I have obtained my client's express permission. A print release is what you get from us when you purchase digital files, or when you book a session (such as birth) that includes digital files. The print release allows you to legally print the files you have purchased. Scanning, alteration of, and duplication of professional prints in any way (including use of filters, screen shooting, etc.) is copyright infringement, and is illegal regardless of what you intend to do with the images. Digital negatives are available for purchase, and in some collections. Web-sized images are also available and are fine to use in social media as long as my logo is not altered or removed. Maternity - recommended between 28 and 34 weeks. Newborn - recommended during the first 14 days if possible. Fresh 48 - lifestyle session that takes place during the first two days after baby is born. Milestones - (sitter session, one year/cake smash sessions) - take place when baby is sitting unassisted (usually between 6-8 mo), and around baby's first birthday. Weddings, events, and other sessions - booked on a case-by-case basis, as our schedule allows. Sessions are done in-studio and on location, depending on client preference and type of session. On-location simply means anywhere other than one of our studios. If your desired location requires admission or paid parking, you must provide cover those expenses for myself and one assistant, in addition to the session fee. Additional fees apply for some sessions, and any time that the location is more than 25 miles one way from the studio. If you are planning to be outdoors, plan to bring some kind of bug spray, if possible. Try to avoid fragrant hair products, lotions, or perfume. Remember that during outdoor shoots, I can't evacuate bugs and other native "critters and cooties"; they were there first! We maintain a busy studio and recommend booking as soon as you know you want us to be part of your journey. It's best to book 3 weeks or more in advance if possible, especially during holiday seasons. Maternity, birth, fresh 48, and newborn sessions are usually booked during the second trimester. Milestones are usually booked at the newborn session, or by the time baby is 3-4 months of age.